Scientists at the University of Colorado Cancer Center published a study (“IMPACT: A Whole-Exome Sequencing Analysis Pipeline for Integrating Molecular Profiles with Actionable Therapeutics in Clinical Samples”) in the Journal of the American Medical Informatics Association (JAMIA) that describes a new tool that interprets the raw data of whole exome tumor sequencing and then matches the cancer's unique genetics to FDA-approved targeted treatments. “Whole exome sequencing is becoming more available to patients and this tool will help them distill the sequencing data to candidate genes and link them with therapies,” says Aik Choon Tan, Ph.D., investigator at the CU Cancer Center, associate professor of Bioinformatics at the CU School of Medicine, and the paper's senior author. IMPACT does this by mining publicly available data, including that of the National Cancer Institute–Molecular Analysis for Therapy Choice (NCI-MATCH) clinical trial and the database at MyCancerGenome.org, to discover which FDA-approved therapies target these candidate genes. The Tan lab tested the tool by inputting whole-exome sequencing data for patients known to have epidermal growth factor receptor (EGFR)-mutated non-small cell lung cancer from The Cancer Genome Atlas. IMPACT successfully identified the EGFR gene as a driving mutation and recommended FDA-approved EGFR inhibitors. In collaboration with the laboratory of CU Cancer Center investigator William A. Robinson, M.D., Ph.D., Dr. Tan and colleagues then used the tool to analyze retrospectively a series of exome sequences from patients diagnosed with melanoma, validating the tool's ability to discover a patient's activating mutation and pair it with useful treatment. “For example, a patient was found to have a BRAF mutation and was put on a clinical trial of the drug vemurafenib, which targets BRAF alterations,” Dr. Tan says. The drug controlled the patient's tumor. However, 2 years later the tumor relapsed. At this point, the group resequenced the tumor and found that in addition to BRAF mutation the patient had developed an NRAS mutation. “Taking tumor samples over time, we could see the cancer cell figuring out how to become resistant,” Dr. Tan says. However, drugs also exist to disrupt cells that depend on NRAS mutations. The combination of dabrafenib (for BRAF) and trametinib (for NRAS) controlled the patient's melanoma for another 2 years. When the cancer relapsed, it was again resequenced and evaluated using IMPACT. Analysis showed loss of the gene CDKN2a, a known tumor suppressor gene that keeps in check cells that have learned to speed through the process of replication. Currently there are no inhibitors of the cyclin-dependent kinase (CDK) family of genes approved by the FDA to treat melanoma. 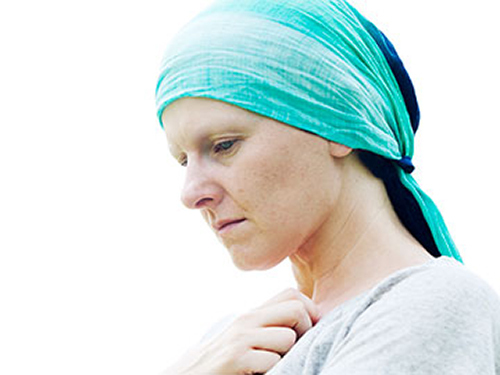 However, the drug palbociclib recently earned FDA approval to treat a subset of breast cancers. “We are trying to see if we can treat this melanoma with a CDK inhibitor. Will this drug overcome the cancer's resistance to the previous combination?” asks Dr. Tan.